Klosterstich, Bayeaux Stitch, Detached Needlelace and Pekinese Stitch sampler. My first and only ever counted blackwork. 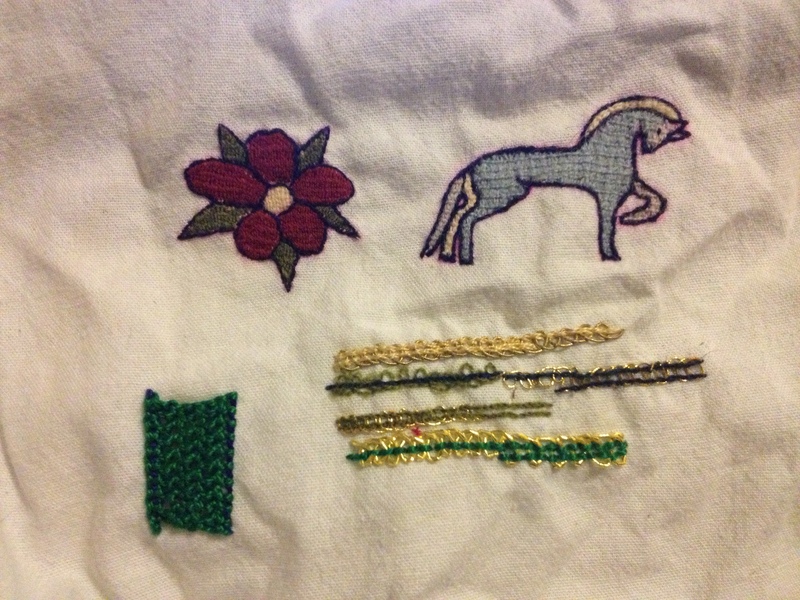 I made this under the instruction of Lady Elizabeth Beaumont during a class she taught for the College of St Aldhelm. 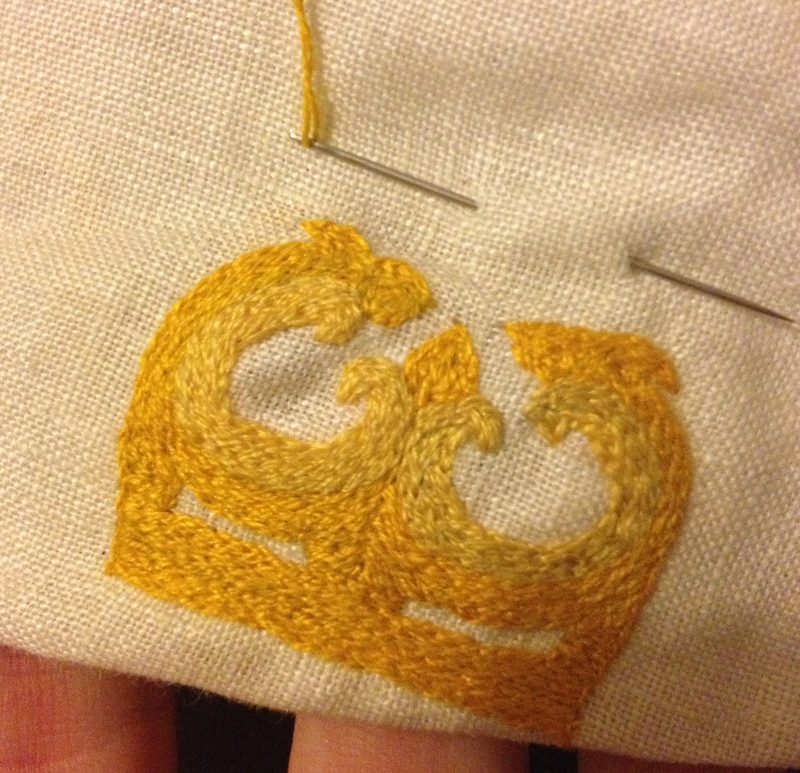 Small split-stitch badge (silk on wool ground). 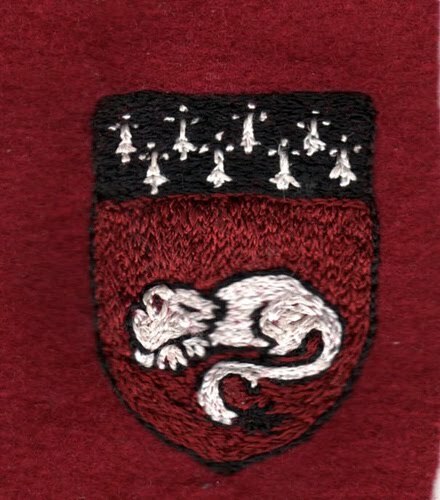 This was a present for Baroness Isobel le Breton and bears her personal heraldry. Partly finished firestriker badge (it’s missing the steel and flames). Silk thread split-stitch on a linen base.